Supernova Smoke Shop wanted to boost the number of people doing “Check-ins” through social networks while in their store to help boost website traffic and top of mind awareness of their storefronts. We’ve probably all that that thought where we were someplace cool and forgot to use location based check-in. It’s a cool and easy way to tell your friends you’re doing something new or hitting up a regular spot you love. 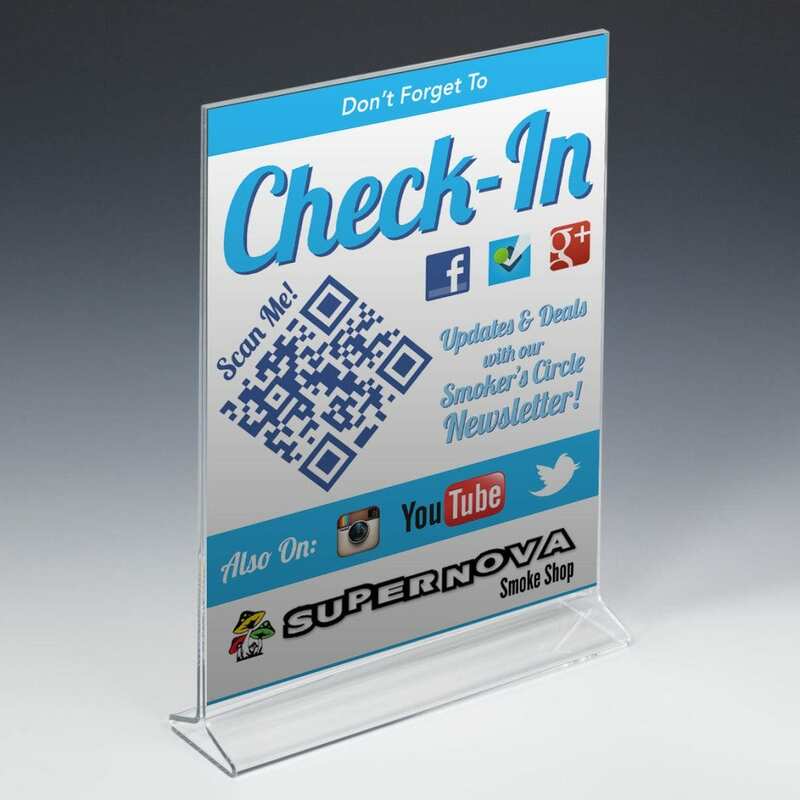 We designed these countertop stands to help remind customers to check-in while they’re at Supernova Smoke Shop. The displays actually serve two functions, they remind customers to check in and they also incorporate a QR code that allows customers to sign up for the Supernova “Smoker’s Circle” email newsletter so supernova can directly contact customers to let them know about special deals and new products.